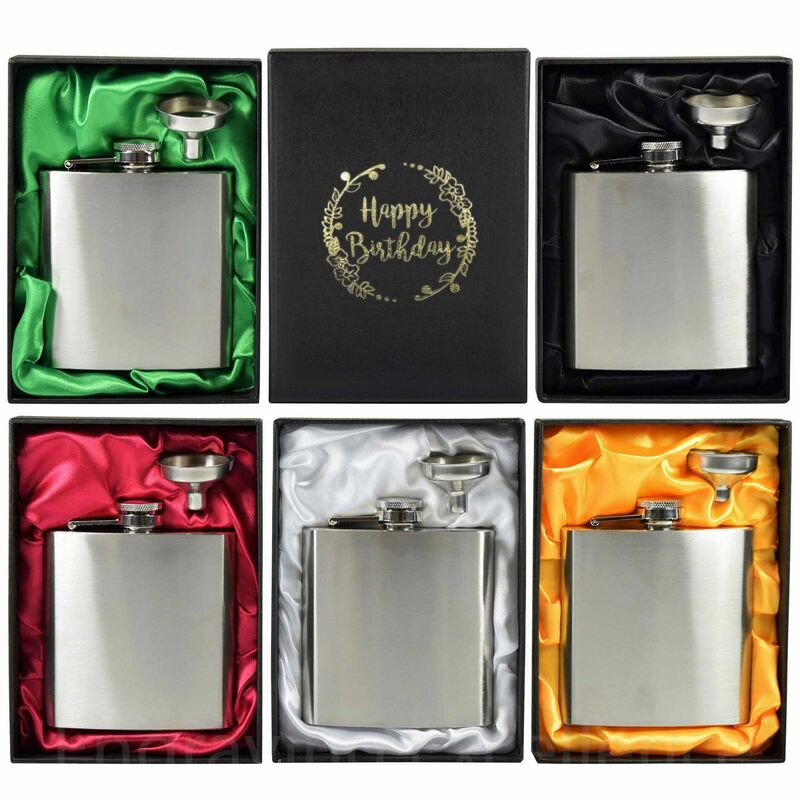 A fantastic 6oz hip flask set . 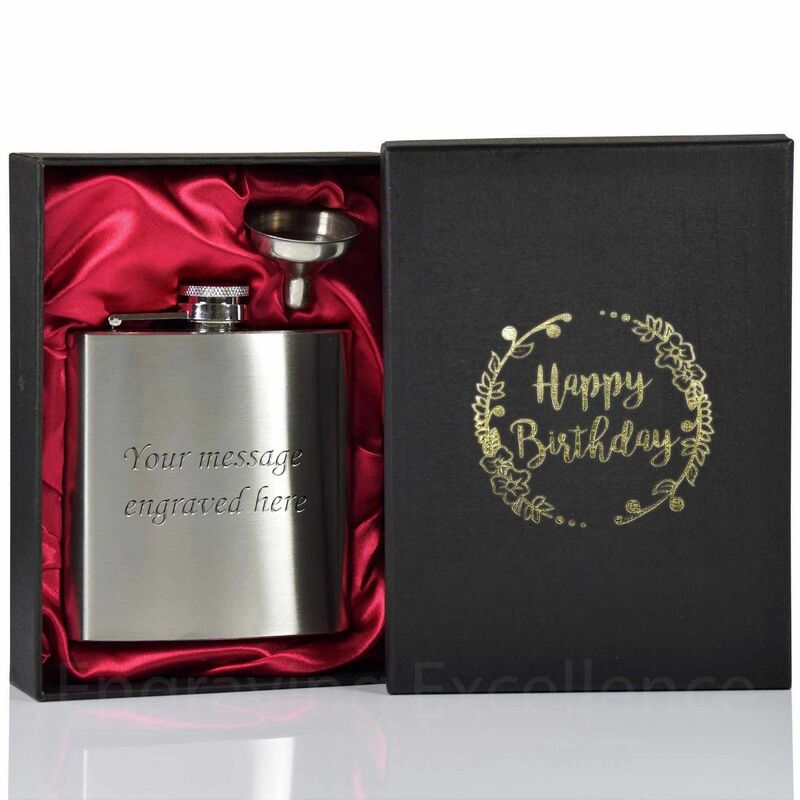 The flask and funnel come in a very attractive satin lined presentation box. You can choose the colour of the lining from our list. 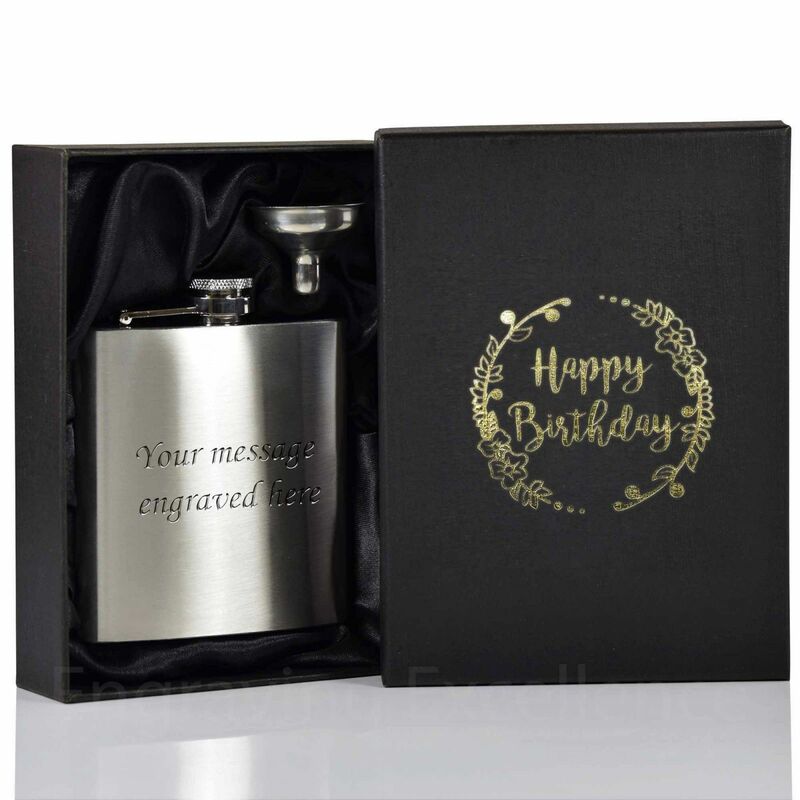 Both the personalised hip flask and our happy birthday gift box are sure to impress whoever receives this as a gift. Why not also check out our other listings for printed lids, adding something extra for Christmas or a special Thank you. 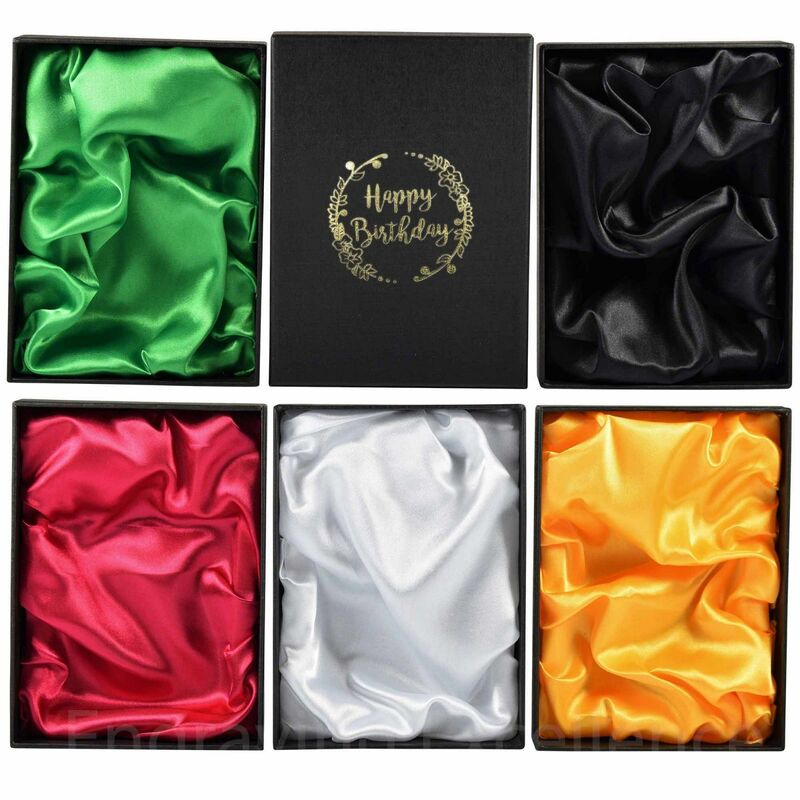 Choose from Black, Red, Gold, Green or Silver satin lining. Happy Birthday design printed in a shiney gold foil on box lid. The flask lid is secured via a hinge so you can't lose it no matter how much you use it. 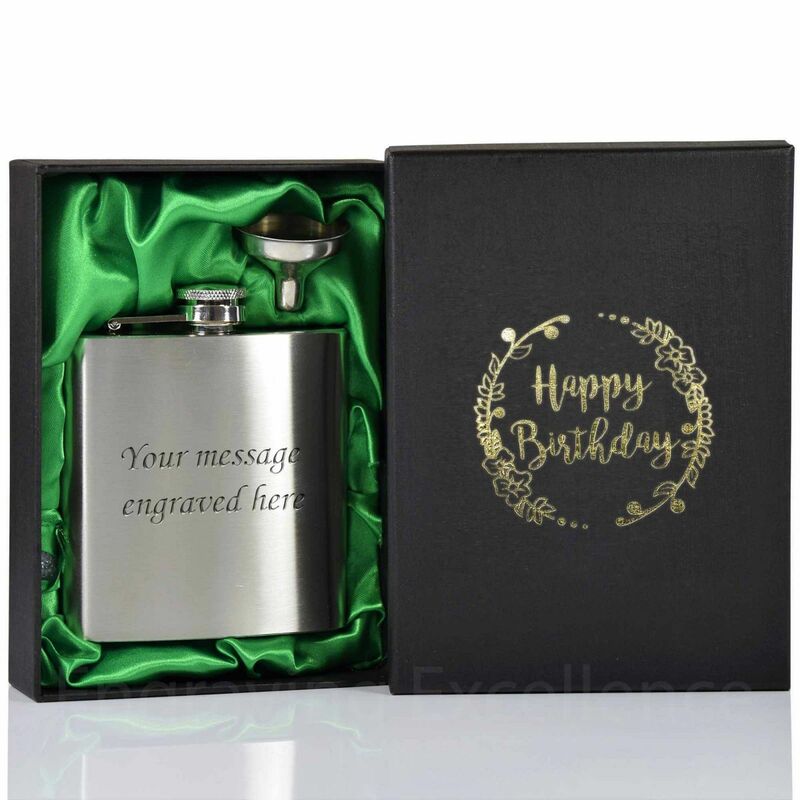 You get free engraving on this hip flask making it an ideal gift. 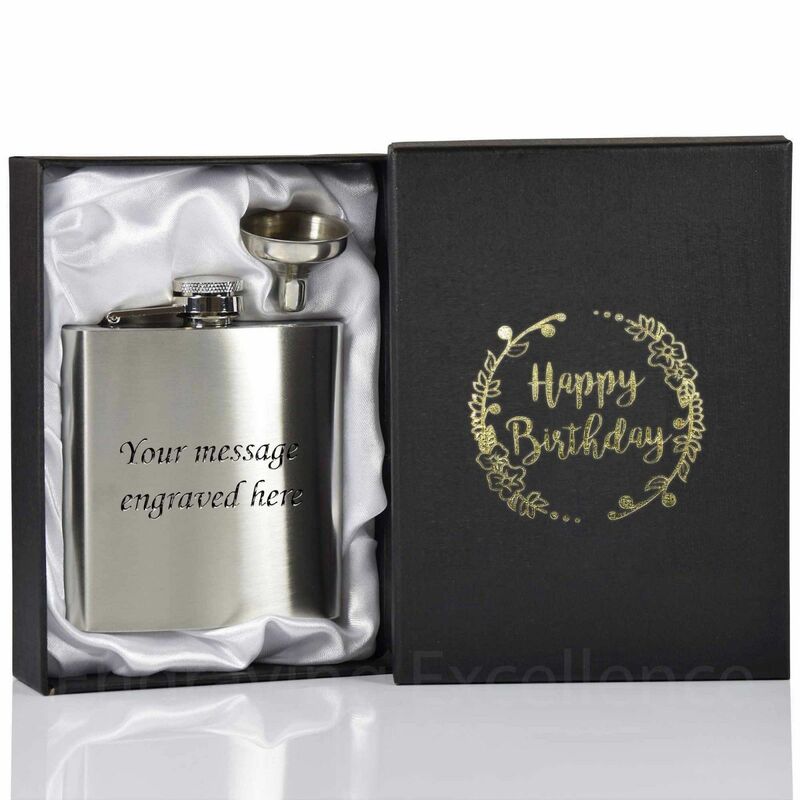 On this hip flask we engrave up to 6 lines of 25 characters each (including spaces). 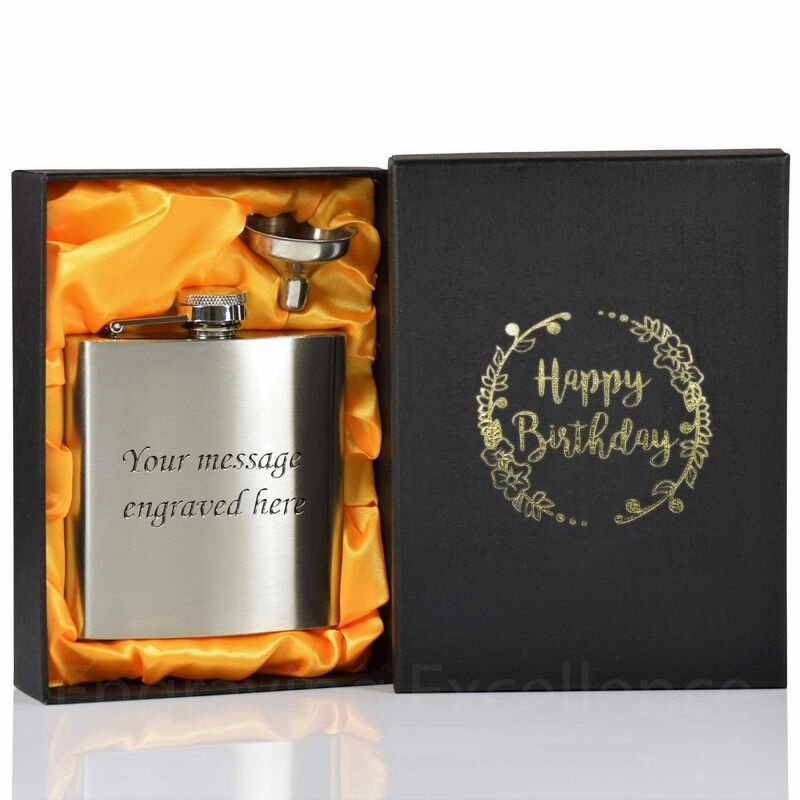 Please check your spelling carefully, as we do engrave exactly what you send to us.